Tag Archives for " Scaling your business "
John Jantsch: Everybody wants to scale up these days. Big topic, right? Well, in this episode of the Duct Tape Marketing Podcast, I visit with Paul Jarvis and we talked about, he has a nice book; Company of One: Why Staying Small Is the Next Big Thing for Business. Check it out. Hello and welcome to another episode of the Duct Tape Marketing Podcast. This is John Jantsch, my guest today is Paul Jarvis. He teaches online courses, runs several software businesses and hosts a handful of podcasts from his home. He’s also the author of Company of One: Why Staying Small Is the Next Big Thing for Business. So Paul, welcome to the show. Paul Jarvis: Hey, thank you very much John, I appreciate it. John Jantsch: So your intro, I think is almost intentionally sort of small-sounding, isn’t it? Paul Jarvis: I think a little bit, but I also think, it was funny because one of the first things my agent and book publisher asked was, “Well, what awards do you have?” Or that sort of thing. And I was like, “I don’t actually have any.” I’ve never actually tried to win an award, I don’t know what I would get an award for. So, I think some of it’s intentional, some of it’s that’s just the way that my work works. John Jantsch: Well I guess what the point of that comment really is that, those who know you know that you’re quite accomplished in what you’ve done and I think that in some ways you’re maybe giving people hope that, “Hey, it’s okay to record a podcast from your home, you can still have success on those terms” right? Paul Jarvis: Yeah, exactly. I’m also Canadian, so there’s a bit of a lack of hubris sometimes I think. John Jantsch: You haven’t apologized yet, though. So, you know the big term, of course the big concept right now, is scaling. So, in some ways, people could make a case for saying you’re sort of anti-scaling. Paul Jarvis: Yeah, that’s kind of the point, so I guess the point of the book and the point of kind of where my thinking around this idea has been is not that scaling is bad, it’s just that scaling should be thought about first. I think this actually applies to a lot of things, that we should probably think about things before we do things. For the most part, it kind of makes sense to do that. So it’s not really a book about anti-scaling, it’s more a book about considering whether it makes sense or not, because it doesn’t always make sense to scale. John Jantsch: Yeah, and that’s a great point, because I think a lot of people just get caught up in the, “well if I start a business, that’s the goal”, right? And not necessarily “what do I want?” Is it? John Jantsch: You know, I sometimes think there’s a lot of confusion around the terms growth and scale, that people kind of see them as the same thing. One of the things that I’ve seen at least, is that I think scale can imply doing more with less. I think it can also imply that you’re more profitable, because you’ve developed systems of things. I think sometimes scale gets a bad rep.
Paul Jarvis: Yeah, you’re speaking my language here. I think that there’s things that are really good for scale that don’t necessarily mean growth, and I think a really good example of that is a newsletter. It takes me as much time to write an email to one person as it does to write an email to 30 thousand people. So that to me is a great example of scaling my reach for example that doesn’t require, I don’t need 30 thousand people writing one email to 30 thousand recipients. So I think scale a lot of times, if we do it properly, doesn’t have to require the growth or the expenses required for that growth. John Jantsch: Freelancing is, I don’t know what the numbers are, but I’m sure it’s in the multi-hundreds of times percentage growth, that pretty much everybody that has a job is freelancing today, it seems like. One of the points I know that you make in the book and I know that you do this in your courses and a lot of the work you’ve done is that, you know, a lot of freelancers just think of themselves as just gig-workers or you know, “I’ve got some spare time to do this…” you know, it’s not really a company. So, how is freelancing different than a company of one? Paul Jarvis: Yeah, I think they can be the same, but where they’re different is, and I know this just from experience of teaching thousands of freelancers, mostly in creative industries, is that they tend to work in their business so much that they don’t think about working on their business. And what I mean by that is we can get caught up in client work, and I mean if our business is doing well as a freelancer, we have a lot of client work. But if we don’t stop to think about filling the funnel a bit further down the road, then they’ll be this feast or famine thing. If we don’t think about things like taxes or accounting, we could get into trouble at the end of the year with our governments. So, I think that there’s, and we also need to think about things like how word of mouth is working fr a business. A lot of freelancers, that’s their main source of finding new clients; it’s keeping in touch with people and keeping that network really strong. So I think that a lot of freelancers don’t treat their business like a business, and either way, it’s still a business. So, I think thinking about how to make freelancing into a business, and keep thinking about it like a business is always really, really important, because like I said, it is a business, whether you think it is or not. Paul Jarvis: Well, I think that definitely when they start to consider profit, that’s always important. I think there’s a lot of things that can be hobbies, and hobbies are great and you don’t need to worry about profit if it’s hobby. The best thing about a hobby is you don’t have to worry about the money side. But when you want something to support you, you have to start to, especially in freelancing or when you work for yourself and build solo products, I think we have to consider what enough is. So, what would be enough to sustain this as business longterm, or even in the beginning, what would be enough to sustain this month to month. Like, “how much income do I need?” Because if we figure those things out, then we can work backwards. Say we need $5000 a month ad we wanna charge $1000. Well, can we find five clients per month to cover just those bases? And then six or more to be profitable, right? So I think we need to start to think about what enough is, like, “How many clients is enough?”, “How much profit is enough?”, “How big our audience should be is enough.”, “How much time spent on the business is enough?”. I think a lot of times, the ‘enough’ question is probably one of the most important things, it’s probably the main reason why I wrote the book. Because we all start from zero, right? We all start a business without a backlog of clients, it’s really hard to start like that. But we all start at zero and build up. So, we all need that growth mindset to get to enough. But where a lot of us don’t think about it is, if we don’t consider what enough is and then change based on if we’ve reached enough or not. So if we have enough revenue, then maybe we don’t need to keep growing and growing and growing, we can start to optimize for that revenue instead. And so I think that’s probably one of the most important things. John Jantsch: What are the challenges that a lot of people getting started, even if they have that plan like, “here’s where I think I wanna get”, it’s the– and I hate the term shiny object, but no question opportunities pop up, “Gosh, should I chase that? Should I chase that?” Do you or did you have a filter that allowed you to decide? Because sometimes opportunities sound great, and sometimes they’re dead ends, sometimes they just are distractions, maybe they just replace the money you were making over there. So do you have a process that you go through to say, pros, cons, how do I consider this? Paul Jarvis: Yeah. For me the first thing mindset-wise, is I consider what the maintenance costs, because every opportunity has an associated cost, right? So I consider; if I say yes to this thing, what does that mean for a whole bunch of things, so, what does that mean for my profit? What does that mean for my existing customers? What does that mean for my happiness? And what does that mean in terms of maintaining this longterm? Like say I wanted to add another course to my roster, or add another client, or add another feature to a product. I’m going to have to then be able to sell that new feature. I’m going to have to support that new feature. I’m gonna probably build other things around that feature to make it work better. So everything has a cost and I think if we start to think about, “What’s a reason we started this thing in the first place? This business, this freelancing, whatever we want to call it. What’s the reason we started this and what do we want to get out of it?” And I think if we have, it sounds a little hippy-dippy, but I think the more that we have and consider what our purpose was for starting, and it can change granted, it can definitely change, but if we have a purpose, I feel like that’s the best lens for decision making we can have when we work for ourselves. So if we have a purpose in mind for what we want to get out of it, or why we’re doing it in the first place, then we can say, “This opportunity doesn’t line up with this purpose, therefore it’s okay if I turn this thing down. It’s okay if I maybe lose a bit short term, but gain a bit in the long term. Because I’ve been doing this for 20 odd years, I kinda think longterm with a lot of the decisions that I make. John Jantsch: Yeah. And obviously, experience ends up teaching you that. Because I think there’s this like, “I’ll never get this chance again.” Kind of mentality. I think experience teaches you “yes you will”. And so I think once you get confident in that it makes it a little easier to trust your gut I think. My favorite chapter in the book; a chapter called The One Customer, and I think that a lot of freelancers kind of tend to think, you know, you think of an Upwork project or something, you know, it’s done, I never really met the customer, I delivered the product, I don’t really even think of it a customer, its more of a project. But I think that the one big mindset shift that you identify is that I think when somebody decides they have a company of one, all of a sudden this customer is something to grow, isn’t it? Paul Jarvis: Yeah, I think that in all I’ve done all sorts of types of business and I’ve worked with all sorts of customers, from Fortune 100 startups to entrepreneurs. It’s, business is always, and I hate business sayings for the most part, but there’s one that I actually like, and I think it’s, “Business is all bout who you know.” So I think building relationships and fostering relationships in the longterm just makes a lot of sense. I think, whether it’s startups or freelancers, I think we tend to focus more on acquisition than retention, and its cheaper to retain customers if you’re a freelancer if you’ve already worked with somebody; the sales cycle can be shortened. Because you don’t need to convince them to work with you anymore, they did, they hopefully liked it, they just have to say yes or no to a new project. If it’s a tech company or a SAS product, then retaining the customer just means that they don’t cancel and turn out. So I think focusing on making, and these are the people who are already paying attention, these are the people who probably already like our work if we’re doing good work. Then, it makes sense to pay attention to them, it makes sense to listen to them, it makes sense to not let those relationships die. Even looking back to when I did freelance work, I had some customers that were probably 13, 14 years of work, and sometimes we would go a year without working together, but because I would keep in touch with them, and because I would reach out to them often, even if there was a bit of a slow time, all I had to do was email my existing customers and say, “Hey, just checking in, see how your business is going, see if there’s anything I can help with.” Just in doing that, I could fill my client roster for a month or two. So I think keeping in touch with people is such an under-utilized skill. Paul Jarvis: It’s a magic email. John Jantsch: Yeah, it really is. If you’ve got a list of past happy customers, and it’s a slow Friday, just send out an email. So, one of the things that’s made this company of one idea so viable really is all of the tools and technology and automation that we have available. What’s some of your, let’s make this a two-part question. What’s some of your favorite tools for automation, and then what are some of your famous no-nos for abusing automation? Paul Jarvis: So, I really like email. I think email, so one, email marketing newsletters accounts for most of my revenue, so I would be silly if I didn’t really like that. So I think, and for me, the way that I use it, and it’s funny because everybody’s like, “Oh emails, Dad emails, Dad…”, and I feel like I’m the guy in the back raising my hand, like, “I don’t think so.” So I’ve had a newsletter, a weekly newsletter, which is good because it’s called the Sunday dispatches, so it makes sense that I send it once a week. I’ve had a newsletter since November 2012, so it’s about six years old, and every week I send an article to my list and that just keeps in touch with people, it keeps reminding people that I exist. Paul Jarvis: Yeah I think that can be good. And then as far as things that I don’t really like using; I don’t like any tool that is realtime or that shows my status. So I really dislike products like Slack because it feels like there’s—so things like that, I don’t even need to single out slack, but just any service that shows my status; even Skype, I only sign in to Skype to use it. And I think that a lot of times we have this FOMO about, “Oh, I’m gonna miss something so I need to stay logged in to everything, or I need to get notifications for all of the things.” I don’t know how I could work, I don’t know how I could accomplish the tasks I need to do on any given day if I was interrupted when I’m doing my work. So if I’m working on something I can’t leave Slack open, I can’t leave Skype open, I can’t even leave social media open. So, if I’m writing the only thing I have open on my computer is my writing software. If I’m on Twitter, the only thing I have open on my computer is Twitter, and I don’t get notified of things that I’m not focused on or things that I’m working on. So I think that there’s a lot of technology now that allows us, like we were talking about, that allows us to scale without growth, which is awesome, but I also think that we can fall into the trap of just being interrupted by all of these great technologies, so I try not to let that happen as much as possible, because I like to get my work done, and then be done work for the day. John Jantsch: So, I’m curious, and this is just on a personal note, what is your writing software? John Jantsch: That’s so funny. We’re getting ready to bore our listeners to tears here, but my current book, I’m working on another book right now, and I’m writing the entire thing in Google Docs and I convinced my traditional mainstream publisher to take the manuscript in Google Docs, can you believe it? John Jantsch: So excited about that. Paul Jarvis: Your power of persuasion is greater than mine. I tried to do the same thing; it didn’t work. John Jantsch: One of the things that, I was really happy to read this line because I’ve believed this forever, but you said this really well. That education is a serious marketing channel. And I don’t think people appreciate that. We’ve all bought into, you know, “Yes, educate, educate, useful content.” But I think you took it a step further really, and talk about it as the tool to actually grow your existing customer base and that you should teach everything, you should look at that as a product opportunity. And I think a lot of people who do, say design or really any kind of work, really underestimate the power of that. Paul Jarvis: Yeah, I mean, it was funny when I was doing web design, I noticed that the only thing that web designers wrote and shared on the internet were things for other web designers. And I always found that weird because, no web designer would ever hire me because I was a web designer too, we had the same skill set. So when I started to think about content, I thought about, “Okay, well what can I do to create content for people that hire web designers?” So I started to write articles on the subject, I wrote a book on the subject. And then I noticed that my schedule was so full I didn’t know what to do with it because people were reading the things that I was writing, that were looking to hire web designers, and because they had read that from me, they thought, “Okay, this Paul guy is the expert on this subject, so why wouldn’t I want to hire the expert on educating clients on successful design projects? Because he’s the one who’s sharing this knowledge.” And it became a really easy sell at that point, it was just, people had already heard of me, it was more just a matter of seeing if it was a good fit to work together than having to pitch or sell anything. So I’ve kind of taken that and run with it for the rest of my business life. John Jantsch: And I think a lot of people, people are getting off of this a little bit, but imagine 10, 15 years ago, nobody was really educating, you know, you were selling. And so, when I was out there telling people that, “No, tell them everything, reveal all the candy, don’t hold anything back.” Because they don’t wanna actually do it themselves, they just wanna know that you know how to do it. And that’s the best way to demonstrate it, and I’m glad we’ve come around. John Jantsch: Well, or they go out there and try it and they go, “Gosh dang this is hard, I am gonna hire somebody.” So, you mentioned hippy-dippy, so let’s finish on a concept that I love and I’d love for you to expand on how you apply this to a company of one. And that’s this idea of finding your true north. Paul Jarvis: Yeah. It’s funny because I think that, and even, I think I kinda felt that way too. I mean, I live in the woods on an island that’s very hippy-dippy on the West Coast of Canada, so I feel like I’m surrounded by this, and I feel like I push against it. And so, I think that in the beginning I though that having a purpose or a north star for my business was too in the realm of like, “Well businesses are supposed to be profitable, so why would I worry about applying my values and what I want?” And I think that that was to my own detriment. I think a lot of times, we get tired from having to make decisions all the time in our business. And if you run a business, you have to make decisions all the time and that tires you out. It’s funny, I was reading an article in the Atlantic about how tiring making decisions is, and I was like, “This article is speaking my life.” So I think to come around to the part about having a purpose, I think like I said earlier, I think that having a purpose alleviates some of the decision making. Because if we know why we started the business and why we want to run the business and kind of where we want to take it, and if I think about success, I see what success looks like in the media, and then I think about, if I applied myself to that version of success, one of two things would happen. I would either get it, which means I would win at what I was challenged by, but I would be left with somebody else’s version of success which wouldn’t be mine, so I kind of wouldn’t win. And if I didn’t win at achieving that person’s version of success, I would be left feeling like I failed. But I failed at something I didn’t actually want in the first place. So I think if we define what success looks like to us, and it’s different for every single person. I did so many interviews for the book, and what success means to you isn’t what it means to me. There could be similarities, sure, but it’s always different. So I think if we have a purpose then it becomes a wholly pragmatic exercise, which is the opposite of hippy-dippy, at least in my mind. John Jantsch: I’m getting ready to print t-shirts; “fail at something you wanted to fail at”, I love that. Paul Jarvis: Exactly. It just makes more sense from a pragmatic standpoint to be able to do that. So I think having a purpose just makes it easier to make decisions and it makes it easier for us to align with where we want to go. Because we’re the ones steering the ship, so if we end up somewhere we don’t like, it’s our fault. John Jantsch: I seriously am stealing that, you’re gonna see it in my next book. So, speaking with Paul Jarvis, author of Company of One: Why Staying Small Is the Next Big Thing for Business, depending upon when you’re listening to this show, it’s out on the shelves January of 2019. So Paul, tell people where they can find more about you and your work. Paul Jarvis: Yeah. So my newsletter, The Sunday Dispatches is at pjrvs.com, or if you search in Google for Paul Jarvis, I’m the first page. And then the book, Company of One: Why Staying Small Is the Next Big Thing for Business, is on all digital shelves and should be in most bookstores as well, and the website for that is ofone.co. John Jantsch: Excellent. Paul, it was great visiting with you, hopefully we’ll catch up with you out there fishing or something in the West Coast of Canada. Paul Jarvis: Sounds good John, cheers. This week, my guest on the Duct Tape Marketing podcast is Paul Jarvis. A writer and designer, Jarvis has worked with companies like Mercedes-Benz and Microsoft, sports giants like Shaquille O’Neal, and entrepreneurs like Marie Forleo. He also teaches a number of online courses; writes his weekly newsletter, The Sunday Dispatches; hosts several podcasts; and just wrote the book Company of One, hitting shelves on January 15, 2019. On today’s episode, Jarvis and I talk about what it’s like to run your own business, and how to make decisions that will not only make you happier but help you build a sustainable business. What’s the difference between growth and scale? How is freelancing different from a company of one? How to use the question, “How much is enough?” as a guidepost for growing your business. Why aligning opportunities with your purpose can help you stay focused on the most promising avenues to pursue. How to transform education into a marketing tool. An increasingly global world means there is more competition than ever, and commoditization is a growing threat. Businesses that scale the right way, are going to be positioned to increase market share as weaker players are sifted out. Whether you’re growing to your first million in revenue, are well past that and are looking to make your business more automated so that you can profitably scale up, or have hopes of an exit in the near future, it’s imperative that you avoid the mistakes that I’ll be discussing in this post. Doing so will help you scale with more profit, more ease, and less stress. Curious as to what these mistakes are? Let’s dive in. Being stuck in day-to-day tasks is a huge problem because you can’t actually grow the business. Your main job as the CEO is to think and come up with better ways to do things. You need to generate ideas to increase profits, enter new markets, and so on. You can’t do this if you are married to your routine. You’ll be wearing blinders. And you’ll miss out on the numerous opportunities sitting right in front of you. Does your alertness follow this curve? When are you most focused and productive? Start your day with crystal clear intention. Always create a plan for your day with the top 3 most important things you need to accomplish that day. 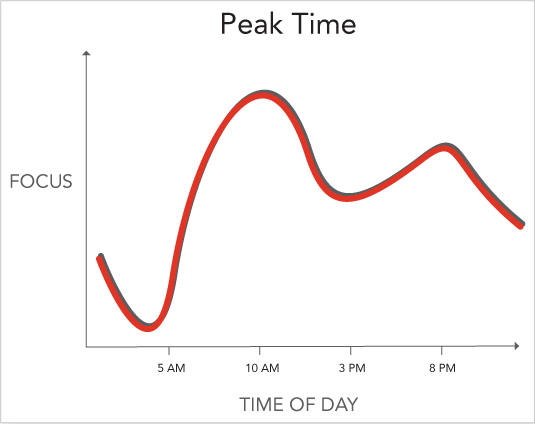 Work within the human natural alertness cycle by using your first “Power Hours” of each day on growth tasks. Schedule email so that you aren’t living in your inbox. Do not check email until at least 11am if at all possible. Many business owners try to scale too soon. Instead, they should first focus on making the business sustainable and bake in as much profit as possible. I often see business owners reach a hump that they can’t quite get over and it’s usually because their pricing structure cannot sustain profitable growth. They know they should increase prices, but fear creeps in. Many experts may say “Just raise your rates,” but if it were that easy, everyone would have more profitable businesses. The harsh reality is that clients might not be willing to pay you more. Why? The answer is risk vs. reward. The risk is too high, and the reward is too low. Work out that formula to be able to increase fees so you’ll have the resources to grow. Evaluate your sweet spot by looking at what you enjoy, and evaluating unfair advantages. 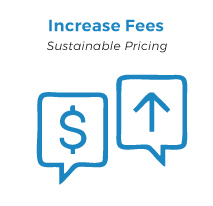 Only after you’ve increased value, and fees should you scale. Look for cost advantages and ways to decrease the cost of delivery (I’ll dive into that further below). I’ve seen those who leverage first and are able to double their revenue per client, with little or no growth to their team. It’s pure profit. It works. I’ve seen it work both in my own business and for others that I have worked with. Everything is about your process and the steps you take, instead of your client’s pain points, and what they want. If you want to get lost in a sea of downward spiraling mediocrity, then keep focusing your website on the “me show” and only discuss your services, tools, credentials, and so on. Instead, you should be discussing the problems your ideal prospects want solved. Make everything about them, and the solutions they want. They want their problem solved. End of story. Choose one painful $100k+ problem to solve, one client type, and one customized (not custom) outcome. Guarantee it, and jack up your fees to price based on the value of the outcome. Going back to the last two mistakes, if the problem is too small, you cannot charge enough. The problem is rooted in the industry dogma of refusing responsibility for lackluster results. It’s nearly impossible to sell results and offer some guarantee… if you are selling everything to everyone. Back to the actions in the last step, it’s by solving one painful problem, for one type of client, with one customized solution. What outcome could you provide? And what needs to be in place to ensure success? An agency owner I know realized that for just one niche that they work with, they could consistently add an extra $1M per year to their business. It’s now a qualification process and the business is now able to more than double their fees. Do you solve $10k problems, or $100k problems? $100k problems, or $1M problems? Who could you work with where your service provides the highest dollar value? Given a bigger outcome, and low enough risk, clients will happily invest more. Throw the hourly thinking out the window where either clients leave empty-handed or you leave tens of thousands of dollars on the table. Create a list of characteristics of past ideal clients you’ve gotten the best results for. What do these clients have in common? Looking ahead, what do new clients need to have in place to be able to guarantee success? Craft an irresistible offer and promise (it should scare you a bit). Create your hit list, and sell! Clients are demanding better. Are you ready to be part of the change that elevates the industry? Most business owners are too focused on finding the perfect staff, and not focused enough on developing their own perfect client solution and then plugging staff into defined roles as they scale their own methodology. When your business is built around an employee’s skill sets, what happens when they leave? You need to start all over again recruiting, training, and developing this next ‘perfect’ person. Instead, focus on how to scale a proven methodology and put the right people in place within your framework. 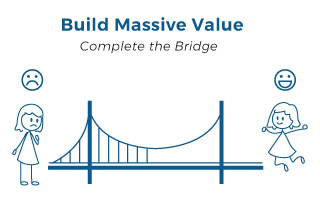 The services you scale are determined by your 80/20 framework. It can be divided into ‘brain skills’, and ‘hand skills’. Brains are more expensive, and in higher demand. 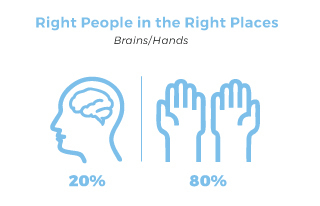 Are you as the owner doing ‘Brain’ work, ‘Hands’ work? Optimize your best skills. Free up capacity for the Brain people to do their best work. Raise profit per project by having the Hands do the rest. Build your proven methodology by focusing first on the end outcome. Then reverse engineer the stages to where you start the engagement. Breakdown the stages into smaller steps and tasks. Delegate by needed skill level only for each task to optimize staffing budget (save time with my Rapid Delegation Script). “I’m too busy to do marketing.” I hear this all the time. This thinking keeps you stuck working with less profitable clients just to meet payroll. You may even have a couple of demanding clients who bring in too much of your income (and most of your problems). You’re afraid to rock the boat because the pipeline to replace the income is near empty. There is a magical shift that happens in your business as you consistently, and proactively attract excess ideal clients. You become in control. You set your fees. You decide who you will, and who you will not work with. Or, are you attracting your best, most profitable, and enjoyable clients? Build a daily habit to block out time every day on your calendar and each out to 5 ideal prospects. Have one live conversation with someone who might be a prospective client. Every day. Most business owners are reactive. They fight fires, rather than prevent them. They tread water hoping to stay afloat when the next wave hits. Being proactive is looking for ways to innovate within your company and increase profits. It’s staying ahead of the industry trends. It’s being intentional about the staff you want in your company and developing the kind of culture you want to create. It’s about actually having a plan and working that plan every day. This seems basic, but most service business owners lack a clear plan to scale their business, so they spend years reaching their goals (that’s if they don’t burn out first). Do you drive your business, or does your business drive you? This is one tiny hinge that moves a pretty big door. If you are not clear and proactive about top things you need to accomplish every day to really move your business forward, you’re not in the driver’s seat. If you are making any of these seven mistakes as you’re trying to scale your services, you’re making it much harder than it needs to be. What mistakes are you making? What will you do this week to take the path to increased profitability and freedom in your business? 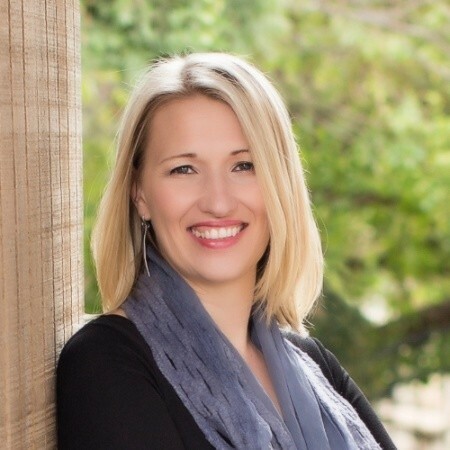 Mandi Ellefson is the founder of the Hands-Off CEO. She helps service businesses and agencies achieve life balance, and productivity by freeing up to 20-50% of their work week and achieving cost savings gains of up to 67%. 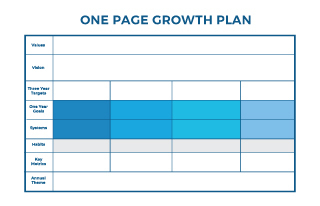 For a proven 5-step plan to scale your service the right way, download her Scalable Growth Roadmap.